In February 2018 Christina Kontova, the founder of the ckontova company, along with action aid, made a solidarity trip to the city of Rwanda and specifically to the village of Muvungu. There, she met the local residents and for 5 days she lived their daily lives, seeing the problems they ‘re facing. Returning and wishing to continue to support the community, the company ckontova, decided to join the cooperative Duhagurukiramajyambere and to help realize their dream of creating a small craft for the manufacture of school uniforms for children, which will allow them to further develop their activities in the garment. 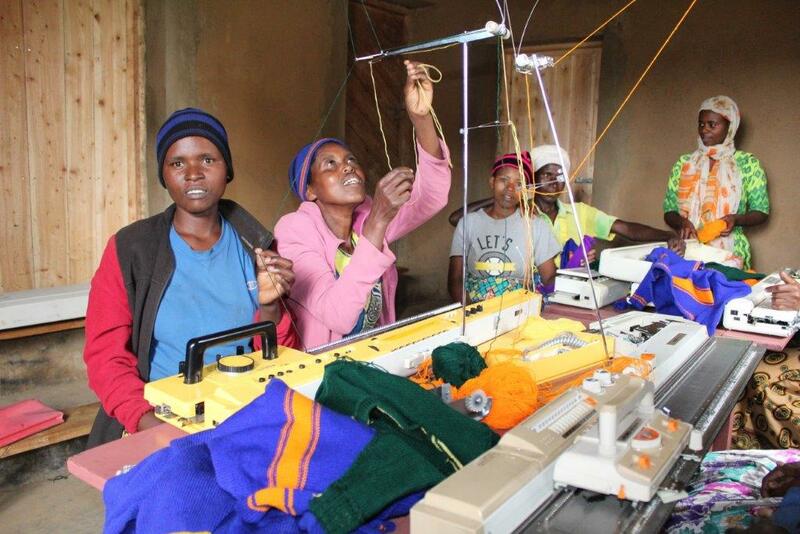 As Christina Kontova says, "it is touching to unite with a group of women from Rwanda with the same creativity and to share the same dreams." 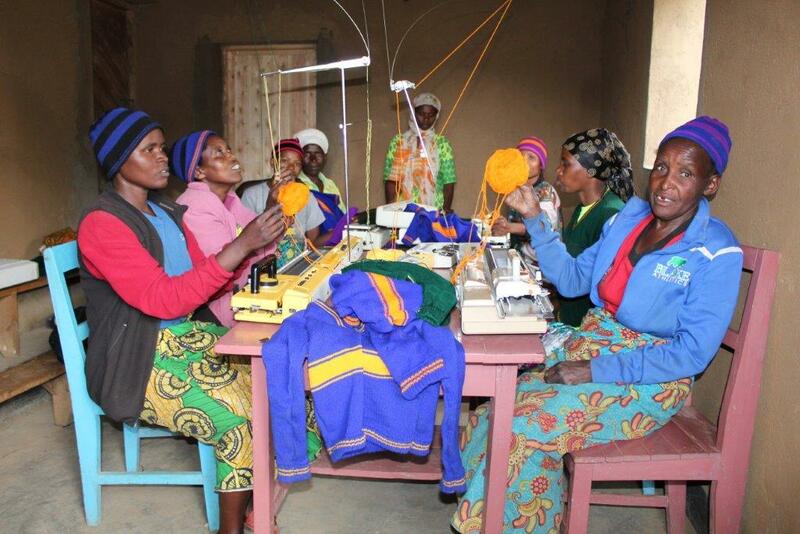 Duhagurukiramajyambere is a women’s cooperative in Rwanda that ActionAId supports since 2009. Throughout those years, local women have marked a significant progress in their financial skills, however, given the context in the country, they struggle to earn a sufficient income based on their traditional basketing activities. They need new skills to make a sustainable living for themselves and their families. Meanwhile they have observed that the families of the region turn to markets as far as 80klm away in order to purchase school uniforms for their children. They came up with an idea that would resolve the problem: the cooperative could purchase specialized sewing machines and with the adequate training they could start the production of sweaters for children attending the 8 schools of the neighboring villages. 8 specialized and 3 simple sewing machines are already available. 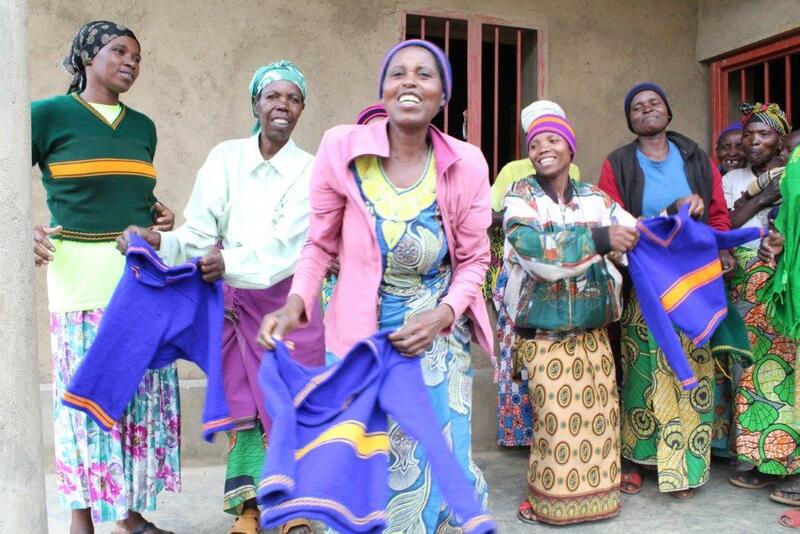 10 women have already started training, leading to have the first sweaters and caps produced. The initial women’s idea has been channeled and will result in financial earnings, as soon as the training is concluded and the cooperative enters the production phase. Through the project, ActionAid teams worked for the empowerment of the women and along with them, one of their dreams has started getting true! The upcoming second phase of the cooperative’s support will be concluded in April 2019, will lead to even more interesting outcomes! “The cooperative in general and personally myself, we are very happy and appreciative for the support given by our friends from Greece through Actionaid Rwanda. We always longed for having machines that makes sweaters, but it was very hard for us to get the starting capital. 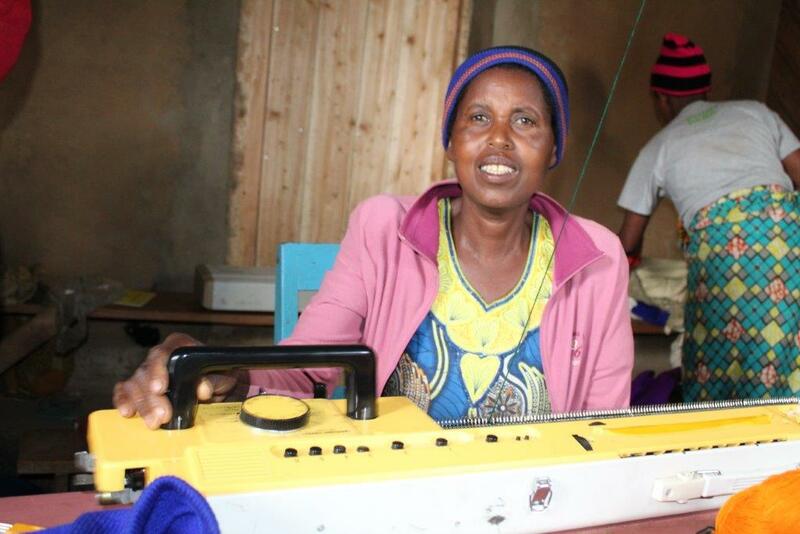 We felt like dreaming when ActionAid requested us to make a project proposal for the sewing machines. It’s now been a couple of weeks and every one of us has already finished at least a sweater and after making one cape each. It is promising that in 3 months we will be able to produce nice products and then another group will start the training. On behalf of the cooperative members and on my behalf, I would like to take this opportunity and our Greek friends and ActionAid Rwanda for their support to our cooperative and our community in general.